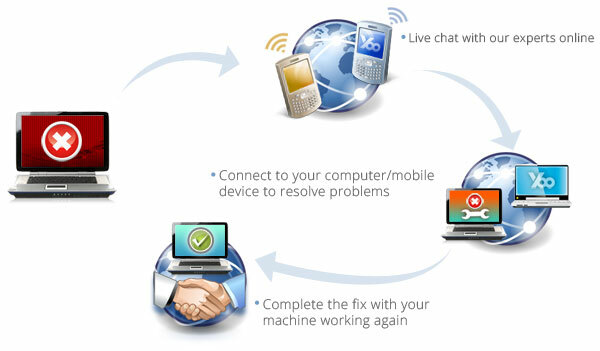 We'll fix your Windows PCs, MAC or mobile devices online via TeamViewer. Complete the fix with your computer/mobile device working again. Our in-house professionals will fix any computer/mobile device problems that can be fixed remotely, and provide helps to resolve any hardware issues that your computer or mobile devices are experiencing. Can not access to Google, YouTube, Facebook, Netflix, Instagram or Viber Messenger, etc? You can solve all the problems with YooSecurity VPN service. Features of YooSecurity VPN service with Fast Video Streaming, Fast Downloading, Safe & Anonymous Browsing, Online Gaming. YooSecurity VPN service protects your privacy online and access data or media content by unlocking the Government censorship and restrictions. Strong encryption and no-log policy with 1000+ servers in many countries. Answer questions about VPN for your PC, Mac or mobile device. Create and activate the VPN account after the purchase is confirmed. Step-by-step tutorial guides to set up a VPN.